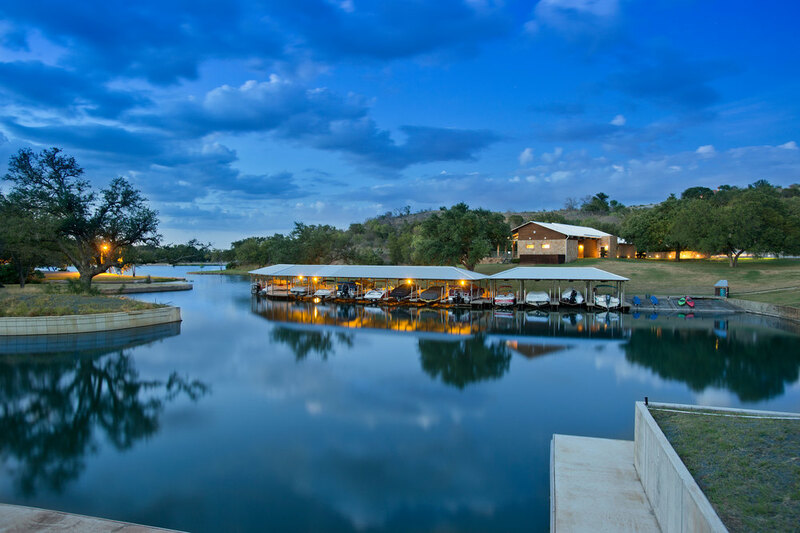 Find space for your boat on Lake LBJ at the Marina & Beach destination in Trails of Horseshoe Bay. Equipped with storage for boats and water equipment, find time to have fun, relax and enjoy summer vacation. 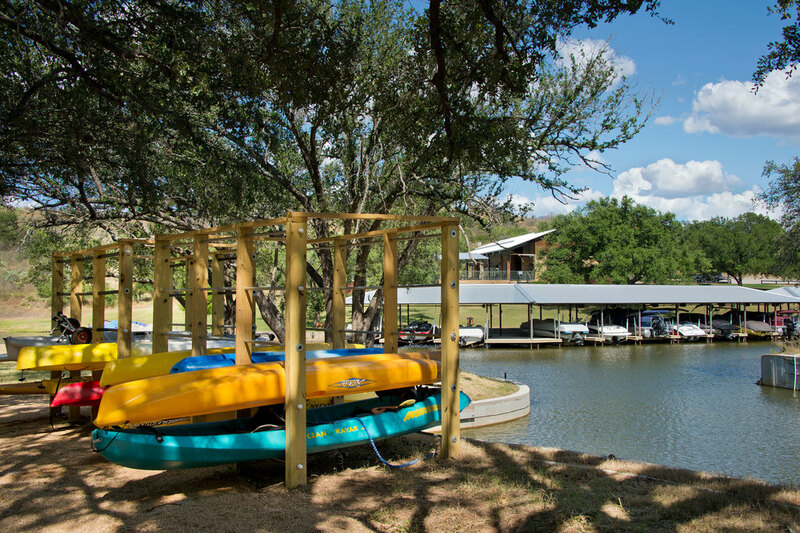 The Marina opens onto Lake LBJ, making it a breeze to do any water sport your heart desires. Whether you loving fishing, wake boarding, paddle boarding, kayaking, water skiing, or just floating in the water, the cool waters of Lake LBJ offer endless summer fun. Our Marina is equipped with slips and lifts for a variety of watercraft, influding tri-hulled catamarans, bass bots and PWC's. Our owners have access to kayak and paddle board storage so you can keep you water toys right by the lake. Whatever you're into, bask in blue waters, sunshine and the sounds of joyful laughter. Life on the lake is truly beautiful! If you would like more information about life in The Trails, please fill out this form. We look forward to hearing from you. The Trails of Horseshoe Bay offers luxury real estate in Horseshoe Bay, Texas. View Properties and Homes on Lake LBJ.